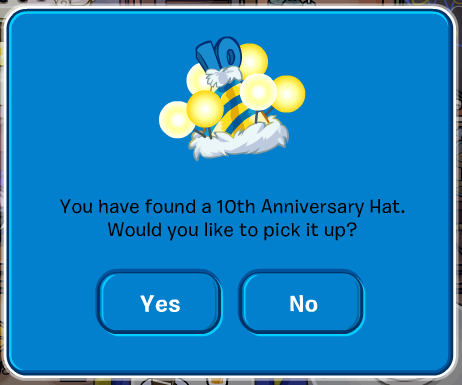 Club Penguin: 10 Year Anniversary! - We Made It! - Lots of FREE Items! Has it really been that long? I guess it has. Club Penguin is now throwing a huge party in celebration of being around for 10 long years! If you go to the coffee shop then you're going to be surprised! 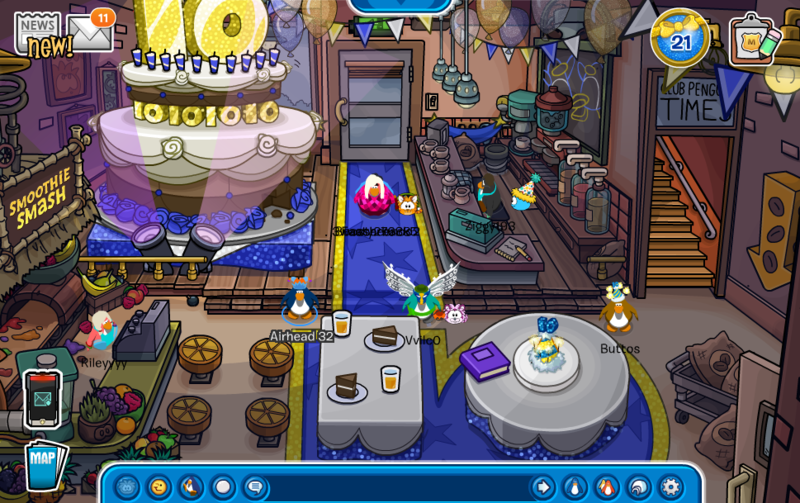 Every year Club Penguin's anniversary party was held inside the coffee shop with a cake and a new party hat. Now there's a giant cake! 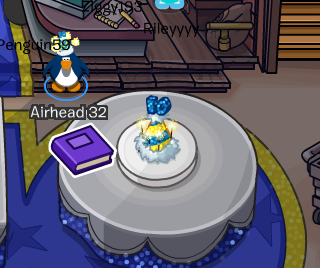 Be sure to click on the party hat on the table to the right and collect the party hat for this year. Also, you can look through the yearbook and check out everything that happened on Club Penguin since the start (which is 2006). Rooms will be filled with parties from the past! It's amazing. 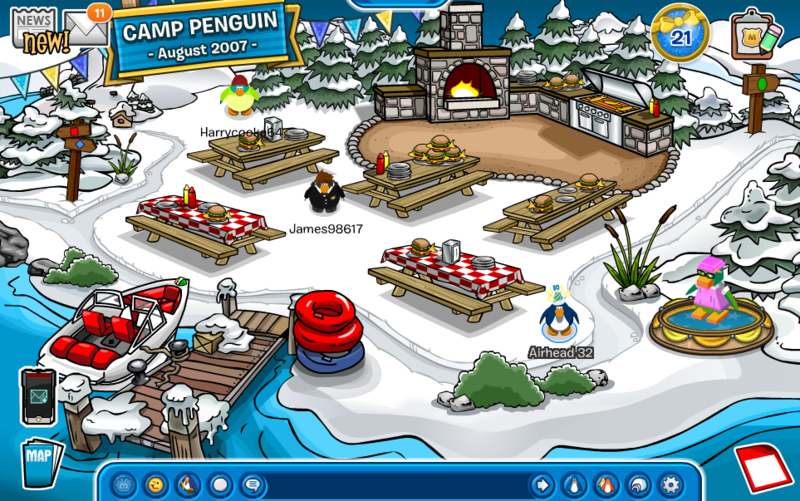 I went to the dock and saw it decorated as a party from 2007!